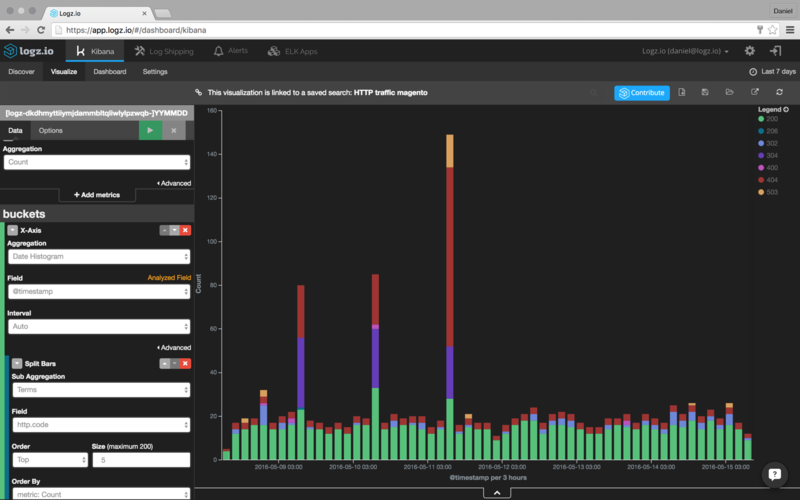 Packetbeat is an open-source data shipper and analyzer for network packets that are integrated into the ELK Stack (Elasticsearch, Logstash, and Kibana). 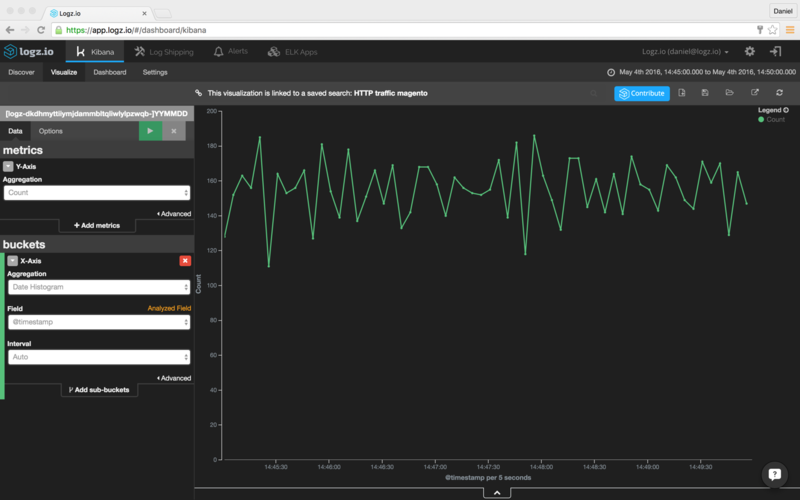 A member of Elastic’s family of log shippers (Filebeat, Topbeat, Libbeat, Winlogbeat), Packetbeat provides real-time monitoring metrics on the web, database, and other network protocols by monitoring the actual packets being transferred across the wire. Monitoring data packets with the ELK Stack can help to detect unusual levels of network traffic and unusual packet characteristics, identify packet sources and destinations, search for specific data strings in packets, and create a user-friendly dashboard with insightful statistics. 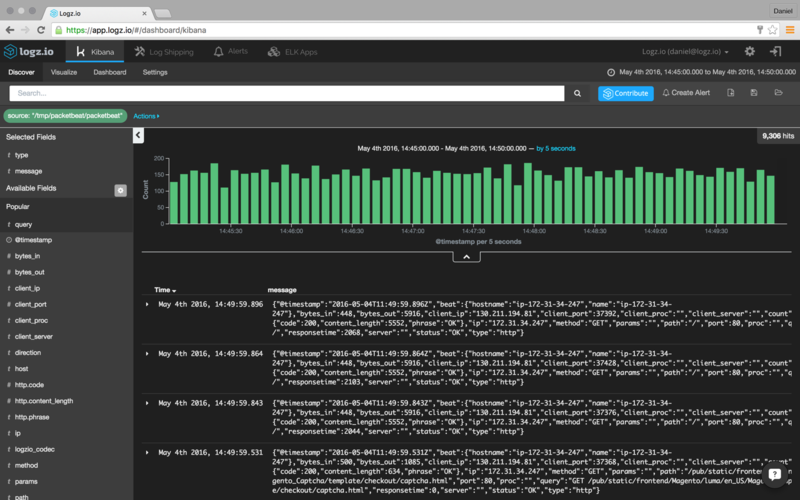 Packet monitoring can complement other security measures (such as the creation of SIEM dashboards) and help to improve your response times to malicious attacks. In this article, I will demonstrate most of the above-mentioned benefits. 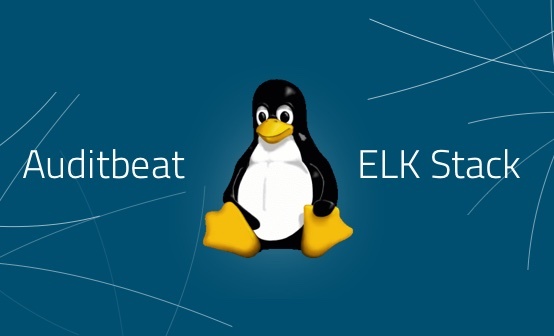 Specifically, we will use Packetbeat to monitor the HTTP transactions of an e-commerce web application and analyze the data using the Logz.io cloud-based, enterprise ELK Stack. In the Protocols section, we need to configure the ports on which Packetbeat can find each protocol. Usually, the default values in the configuration file will suffice, but if you are using non-standard ports, this is the place to add them. Packetbeat data can be ingested directly into Elasticsearch or forwarded to Logstash before ingestion into Elasticsearch. Since we do not yet have a native log shipper for Packetbeat, we’re going to use Filebeat to input the file exported by Packetbeat into Logz.io. 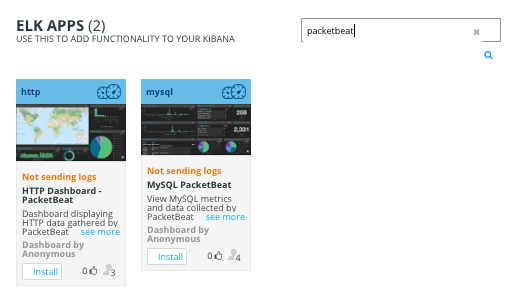 We now need to configure Filebeat to ship our Packetbeat file into Logz.io. Prospectors are where we define the files that we want to tail. You can tail JSON files and simple text files. In our case, we’re going to define the path to our Packetbeat JSON file. Please note that when harvesting JSON files, you need to add ‘logzio_codec: json’ to the fields object. Also, the fields_under_root property must be set to ‘true’. 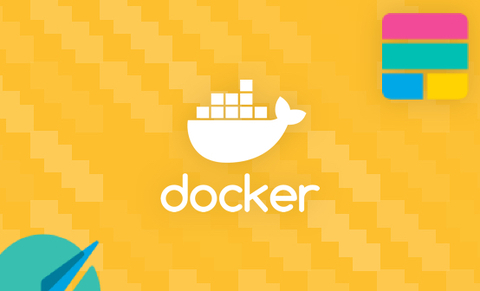 Be sure to enter your Logz.io token in the necessary namespace. A complete list of known types is available here, and if your type is not listed there, please let us know. Like before, be sure to put your Logz.io token in the required fields. 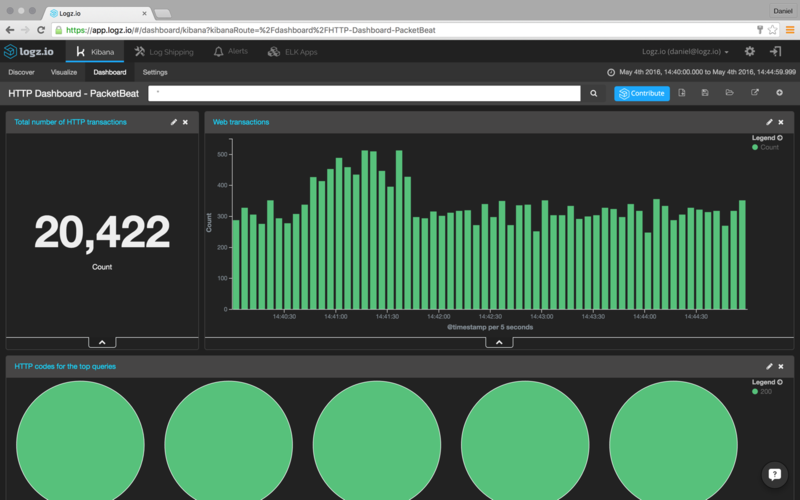 To verify the pipeline is up and running, access the Logz.io user interface and open the Kibana tab. After a minute or two, you should see a stream of events coming into the system. You may be shipping other types of logs into Logz.io, so the best way to filter out the other logs is by first opening one of the messages coming in from Packetbeat and filtering via the ‘source’ field. To help to identify the different types of messages, add the ‘type’ field from the list of available fields on the left. In our case, we can see Apache, MySQL and DNS messages. Our next step is to visualize the data. 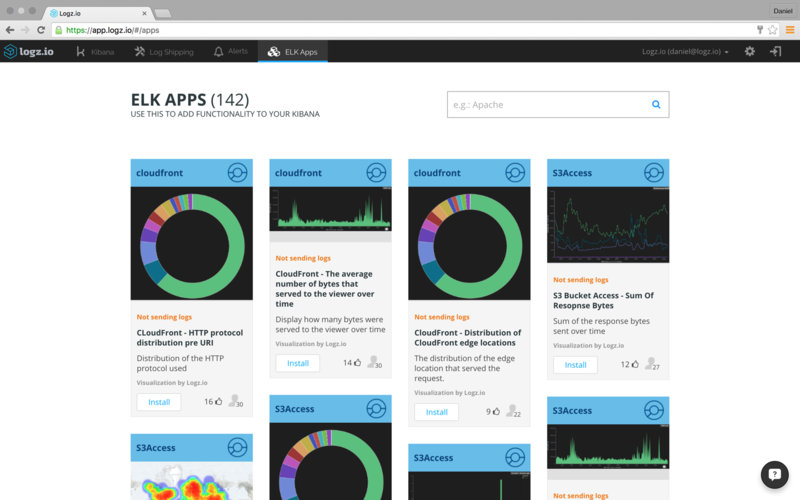 To do this, we’re going to save the search and then select the Visualize tab in Kibana. We’re going to create a new line chart based on the saved search that depicts the amount of HTTP transactions over time. Another way to use Kibana to visualize Packetbeat data is to create a vertical bar chart stacking the different HTTP codes over time. As this image shows, this visualization helps to identify traffic peaks in conjunction with HTTP codes. 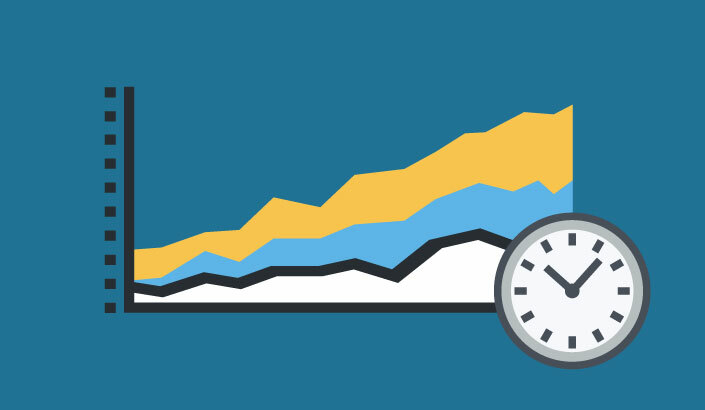 After saving the visualization, it’s time to create your own personalized dashboard. 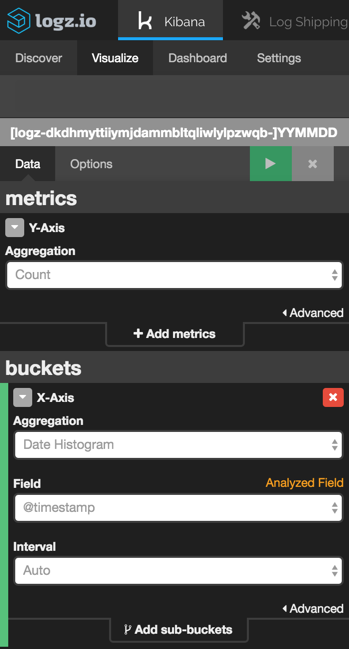 To do this, select the Dashboard tab, and use the + icon in the top-right corner to add your two visualizations. If you’re using Logz.io, you can use a ready-made dashboard that will save you the time spent on creating your own set of visualizations. In just a few seconds, you can have your own network monitoring dashboard up and running, giving you a real-time picture of the packets being transmitted over the wire.